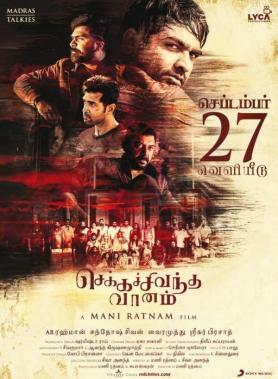 Released yesterday to stellar reviews from all corners is the Mani Ratnam-directed Chekka Chivantha Vaanam starring STR, ‘Makkal Selvan’ Vijay Sethupathi, Arvind Swami, Arun Vijay, Jyothika, Aishwarya Rajesh, Aditi Rao Hydari, Prakash Raj, Dayana Erappa, Mansoor Ali Khan among others. With positive reviews pouring in from critics and audiences alike, elite director Gautham Menon too expressed his elation on his Twitter page after watching CCV. Sharing, to celebrate with the millions of fans like me who are eager to watch the next Mani Ratnam film. Super excited to watch the film at 5am. Like I can’t wait already! Folks, the next Mani Ratnam film is out in a few hours, get ready to be transported again into his world! Mani sir& his brilliant ensemble cast set the screens on fire with a bold new character sketch in cinema for each of the characters. A master craftsman at work& it’s almost like he’s having fun etching out hard hitting content& throwing all rules out the window! Str is honest& real, Arun is edgy&flamboyant, VS is fun,local& raw, Jyotika is intense and makes it look so easy, Arvind is powerhouse and is in one of the best fight sequences seen in tamil cinema in a long while and ARR freaks out on the score. CCV is trippy! Likewise, actor Karthi too was not far behind in his adulation for Chekka Chivantha Vaanam as well as applauding the performances of the lead stars. 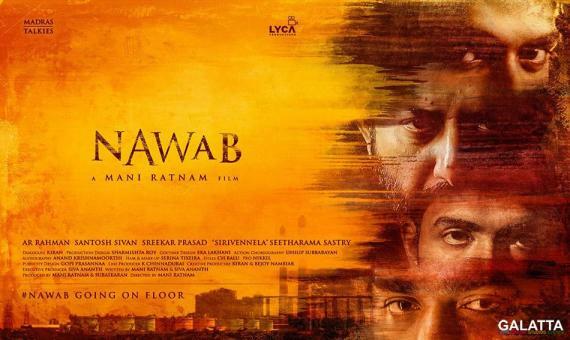 Produced under the Madras Talkies and Lyca Productions banners with music by A. R. Rahman, Chekka Chivantha Vaanam has also been dubbed in Telugu under the title Nawab.